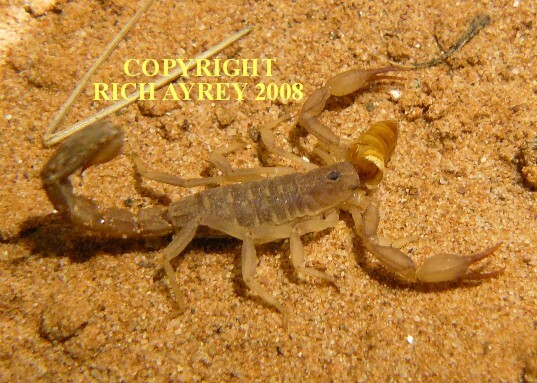 Above is a photo of Kochius crassimanus a rarely seen scorpion found in South Eastern Arizona and New Mexico. It was formerly known as Vaejovis crassimanus. I am fortunate to have available pics of this species of Arizona Scorpions.